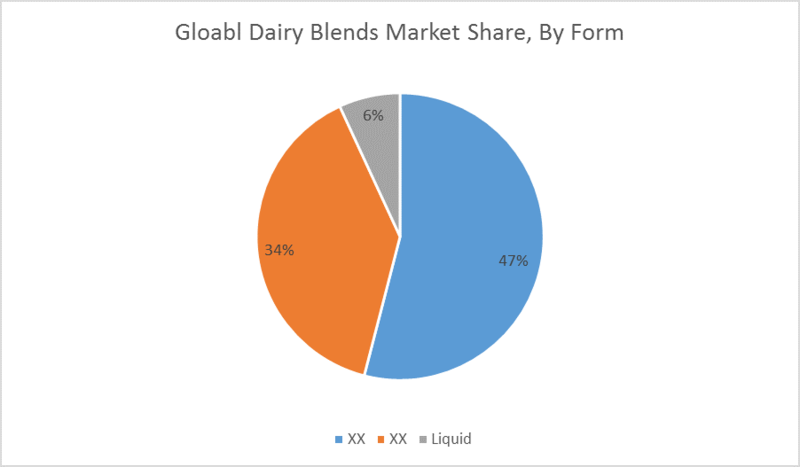 The global dairy blends market is estimated to reach USD 3.53 billion by 2022 and expected to value about USD 4.1 billion by 2023, registering a CAGR of 7.9%. Dairy blends are the mixture of milk nutritive ingredients and other components from milk cracking. These products are used as a partial or complete substitution of liquid milk or milk powder. Moreover, their typical content offers specific techno-functional properties. Dairy blends contain various ingredients according to industrial needs, thus, making them versatile products and cater to a wide-range of applications. The use of dairy blends in various industries is expected to increase, due to the rising prices of traditional dairy commodities. The yogurt and other milk product manufacturers are preferring dairy blends, due to their stable price range over the years and various nutritive ingredients infused in them. The health-conscious consumers expect their foods to be infused with nutrients, therefore, the use of dairy blends satisfies this expectation. Dairy blends have high emulsifying properties, which help them mix with water and oil, thus increasing their usage in bakery and beverage industries. These properties and uses vary according to the ingredients infused with these blends, as different flavors of the blends can produce different flavors of yoghurt, cakes and ice-creams. Dairy blends have a wide-range of applications in industries such as ice cream, yogurt, infant formula, bakery & confectionaries, dairy products, ready-cooked dishes, sports & health foods and beverages. The powdered dairy blends are the most preferred form, among all, as it has high applications in ice-cream and yoghurt industry, owing to its greater shelf life. A cross over in butter and margarine is resulting in new spreadable dairy blends. Asia-pacific is expected to witness the highest growth in dairy blends rate during the forecast period, due to the growing dairy-based product preferences. 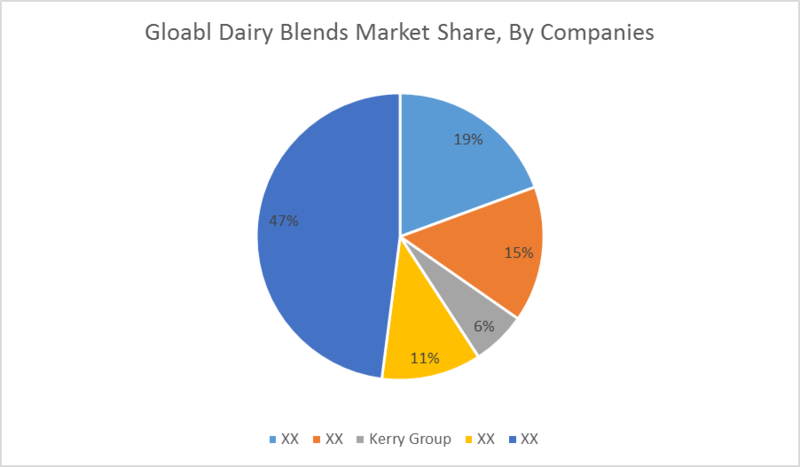 Particularly, the Asian dairy market is showing interests in the dairy blends, as the Asian standard demand for milk fat is growing, at a continuous pace. In contrast to vegetable fats, milk fat is a natural product and offers a better taste, therefore, the production of dairy blends is satisfying the growing demand. The leading manufacturers and suppliers of the dairy blends includes Fonterra Co-operative Group Limited, Cargill, Inc., Kerry Group, Royal Frieslandcampina N.V., Agropur Ingredients, Döhler Group, Intermix Australia Pty Ltd., Advanced Food Products LLC, Galloway Company, Inc., Cape Food Ingredients, Abbott Nutrition, Agri-Mark Inc., All American Foods Inc., and Bakels Edible Oil. These companies focus on capacity expansion, owing to the increasing demand for dairy blends. 7.7 Intermix Australia Pty Ltd.
7.13 All American Foods Inc.